This project has been created using the Stampendous matching butterfly stamps and dies along with their pop-up die. 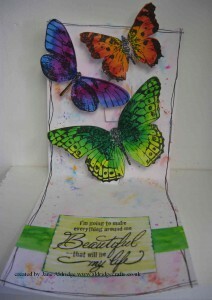 This makes it so easy to create these pop-up designs as it cuts the mechanism for you and you just decorate it. 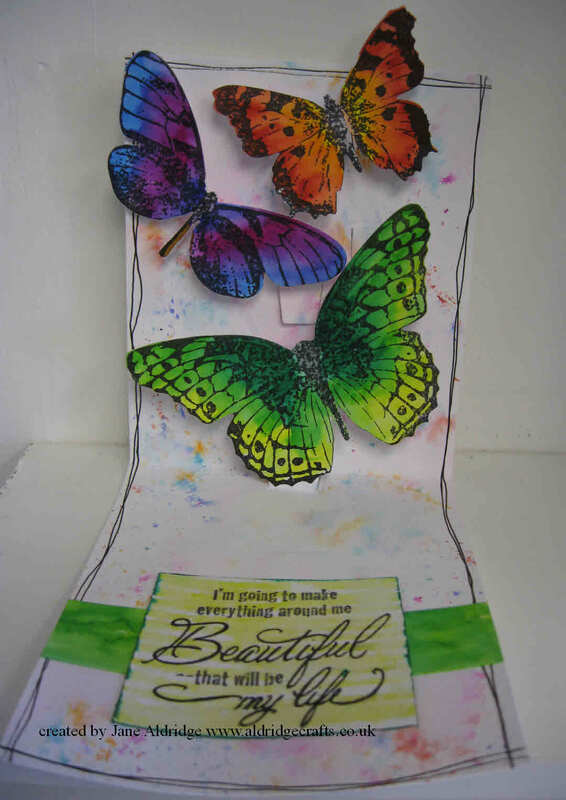 This simple card starts an an A4 card, with a third trimmed off and then cut with the pop-up die. 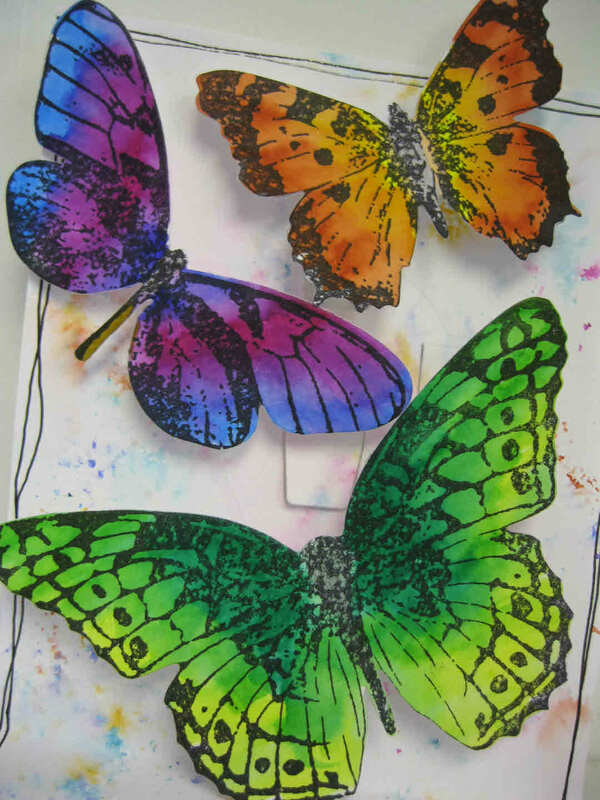 Then I’ve stamped the Butterfly Trio stamps, coloured with Koi Pens and then cut out with the dies (no staying within the lines – easy colouring as you are cutting out! ).